British doctors will undertake a path breaking procedure to reconstruct people's faces with stem cells taken from their fat. 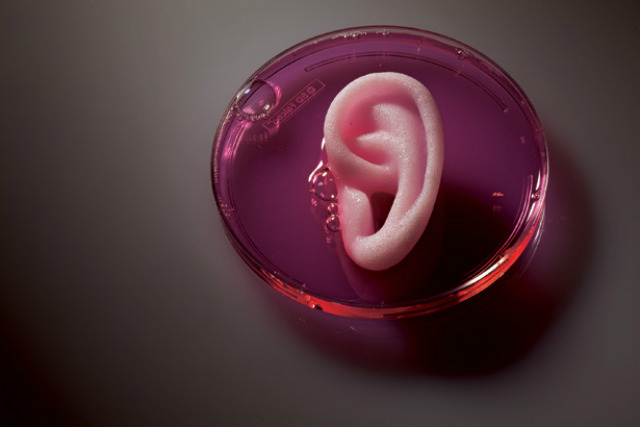 The team has successfully grown cartilage in the laboratory and believe it could be used to rebuild ears and noses. Great Ormond Street Hospital (GOSH) and the UCL Institute of Child Health (ICH) say the effectiveness of human stem cell therapies for facial reconstruction has been effectively investigated and shows how stem cells could pose a viable alternative to current approaches to facial cartilage reconstruction such as ear and nose reconstruction. GOSH is world renowned for successfully treating patients born with a malformed or missing ear, a condition known as microtia. The two-stage ear reconstruction takes cartilage from the patient's ribs and a new scaffold is moulded and placed beneath the skin from it. Both the clinical and cosmetic results of this procedure have been very good. However, as Patrizia Ferretti, head of developmental biology unit at the ICH and her co-authors demonstrate in their study, the potential application of human stem cells and tissue engineering could further improve results and would obviate the need for this invasive part of the procedure, which leaves a permanent defect in the donor site. What the team envisages is taking a tiny sample of fat from the child and stem cells would be extracted and grown from it. An ear-shaped scaffold would be placed in the stem cell broth so the cells would take on the desired shape and structure. Chemicals would then be used to persuade the stem cells to transform into cartilage cells. Dr Ferretti said "We used stem cells harvested from the abdominal tissue of young patients affected by craniofacial conditions to explore, in our laboratories, how these might be used in future surgery. The use of stem cells from the paediatric patients themselves circumvents the issue of rejection and would overcome the need for immunosuppressive therapies". The study suggests that combining stem cells with scaffolds can be of great value for several applications. In addition to ear and nose cartilage reconstruction, they could be used, for example, to improve the quality of tracheal transplants.